I didn't really think I needed an editor for my first book. I was using all the right words, lots of them, all carefully chosen to convey every nuance of thought to my captive readers. Little did I realize that my first book, as written, wouldn't capture any readers! I should begin by stating my credentials as a writer -- none! Unlike the other testimonials you will find here on Audrey Owen's Writer's Helper website, I am not (yet) a published author. I am at work on my first book. Also, I have no desire to be a full time writer. I am an engineer who does some coaching of high school athletes on the side. I'm writing my first book in hopes of helping a wider audience of high school athletes with my unique application of engineering math and physics knowledge to the track and field event of high jumping. I found WritersHelper.com through a link from the Trafford website, which I'd found through a Google search as I tried to answer some of my general questions about self-publishing. Being a thorough researcher, I read everything available on the Writer's Helper website. Upon learning I could get a *FREE educational edit of 500 words, I immediately e-mailed the entire manuscript of my first book with instructions to return comments on any 500 word section of the editor's choice. I quickly received a reply indicating that I should choose the sample-edit piece myself, so I cut out a small stand-alone section and sent it in for evaluation. Being an engineer and skilled technical writer, I must confess I was really expecting the experience to provide a free "stamp of approval" more than anything else. 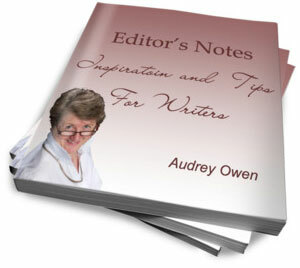 Audrey soon had me realizing that my writing was virtually inaccessible to my target audience of high school aged kids. I was writing in more of a lecture tone as if I was presenting theory to my engineering colleagues. We soon straightened out my sample edit piece, and along the way she mentioned that she had looked briefly through the entire manuscript I'd sent her earlier, and "could see why I thought the sample edit piece was one of my stronger areas." Now I was worried that the rest of my first book was a disaster, and I didn't have the skills I needed to identify the problems! I soon contracted with Audrey to provide an educative Edit of my Introduction. It was literally the first financial investment I made directly to my book-writing effort. Based on my *free sample edit, I knew my introduction needed some hard work. It could motivate and excite the reader about what lay ahead, or alienate them completely by being too stuffy and "textbook." Having just recently finished reworking my introduction with Audrey's help, I must say that I'm 100% satisfied with the results. First, let me assure you that the educative edit is not just a grammar and punctuation check! It is a process that not only tells you what's working and what's not in your written work, but exactly why it is or isn't working. It is not a "these are my comments -- take them or leave them" type feedback. The educative edit is a dialogue aimed at converging to a result that both author and editor are comfortable with. This included several iterations back and forth via e-mail ironing out a few points at a time. Our last issue was scrutinizing my use of the tiny word "at" which I felt was necessary and Audrey thought could be removed. Her willingness to continue the dialogue down to this final word is a testament to her attention to detail and how seriously she will take your work -- every single word of it. Looking back now at the before and after examples of my Introduction, I see that they are night and day. Audrey literally breathed life into my first book. The ideas conveyed are still mine, exactly as I intended them to be. But the words are no longer "hurdles in the reader's path", as she once (correctly) called them. What impresses me most about working with Audrey is her commitment to going beyond just providing editorial advice. 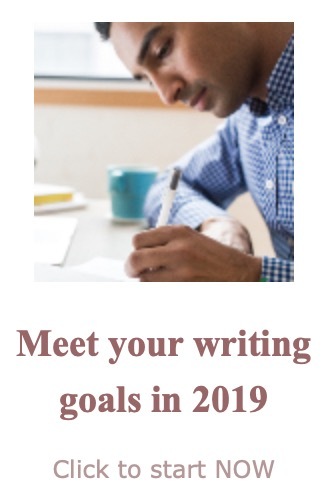 For your money you get someone who tunes in to what's important to you as the author. She very quickly saw the unique angle I was shooting for in challenging kids to apply math and physics that they might not otherwise use, to the sport of high jumping. She makes every effort to help you evolve as a writer, instead of just fixing the editorial object. Audrey has taught me to think of my readers in a whole new way, which I now find makes my writing flow easier than ever before! When I look at everything I've gained and how much my work and writing has improved, I can only say that the value of my investment has already been realized many times over. And by the way, the fact that Audrey is in Canada and I'm in southern California has not been an issue at all in our business relationship. We have used e-mail for all our dialogues and postal mail for payment. The only time I see it will be an issue is when my first book is published and I want to take her to dinner to celebrate! I would strongly recommend any yet-to-be-published author with a first book, such as myself, to make the investment and see for yourself how much better your work can be! *Audrey's sample edits were free when JR submitted his writing. Currently, the sample edits become free only to those who hire Audrey. That happens through a rebate. Learn more about the current sample edit. Yes, little words make a difference. They are not the only thing an editor looks at, but every word is important and needs to do important work in your piece. What JR didn't tell you in his article is that in the end, he won the debate over whether or not to use the word "at." Editing is a dialogue and writing is an art as well as a science. I am energized by working with other people and their words. If you have a piece you want someone to look at professionally, I hope you will consider me. First book, second book, or tenth book in a series, every book needs editing. The home page starts your investigation into the many resources on this site.